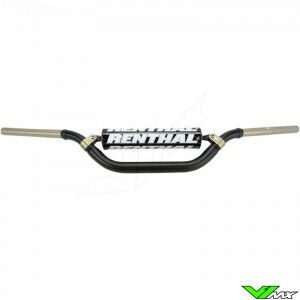 The dirt bike handlebars from Renthal are without doubt one of the most popular bars among motocross riders. Due to the wide range of models, bends and colors, there is a Renthal handlebar for every rider. Check out the current range below. At the bottom of the page you will find more information about the different types and the technical characteristics. The Renthal range consists of 3 different types of handlebars. The technical characteristics of these bars are explained below. 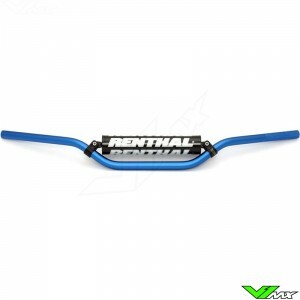 The Renthal 7/8 inch handlebars offer perfect level of flexibility, while it can withstand great forces. 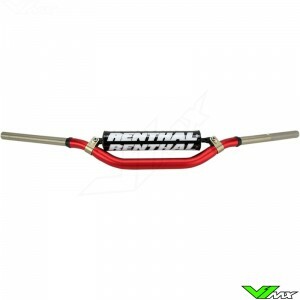 It is made of high quality 7010 T6 aluminium specially developed for steering constructions. Thus, the Renthal 7/8 handlebar is one of the first aluminium handlebar used by OE manufacturers. The cross brace is glued to the handlebar to prevent sliding. 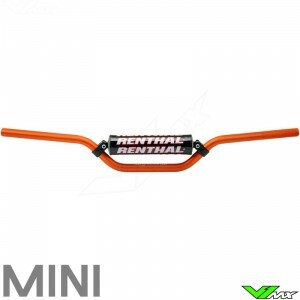 The Renthal 7/8 is also available in a mini version. 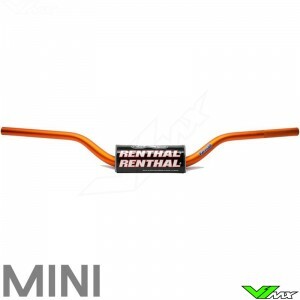 These smaller handlebars are perfect for pitbikes, 50cc and 85cc dirt bikes. The most popular model is the Renthal Fatbar. This motocross handlebar has a tapered tube with a handlebar clamp size of 28,6mm. 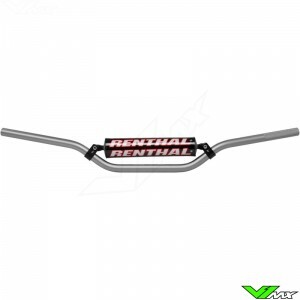 Unlike regular bars the Renthal Fatbar has no cross brace. 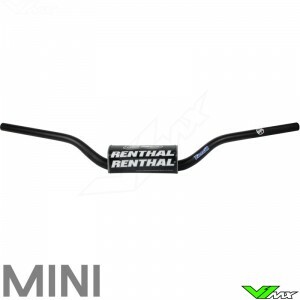 The advantage of the Fatbar is the increased strength compared to 22mm handlebars, because it has a much smaller chance of bending during a crash. The design without cross brace ensures flexibility and comfort to the rider. The Renthal Fatbar is also available in a mini version. These smaller handlebars are suitable for smaller dirt bikes. 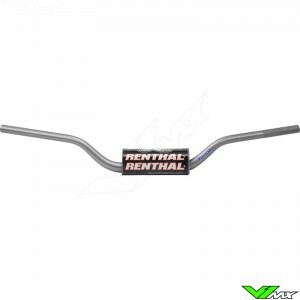 The Renthal Twinwall is a unique handlebar that consists of 2 aluminium tubes. 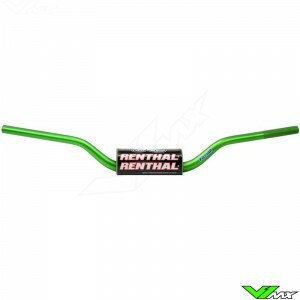 The patented design uses aviation techniques to provide the rider with strong, lightweight and safe handlebars. Due to the strong design, these handlebars hardly ever bend during a crash. 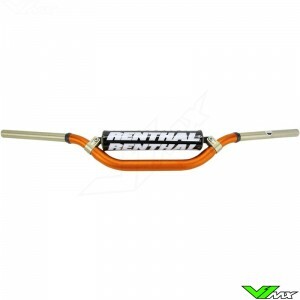 In 1998 the Renthal Twinwall came on the market, since then it has been used by many professional riders. More technical information about these motocross handlebars can be found on the Twinwall page. The Twinwall handlebars are stiff for maximum rider control. It is also possible to remove the cross brace to provide more flexibility. 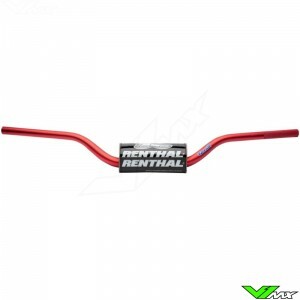 If you choose a Renthal motocross handlebar then you choose for top quality. 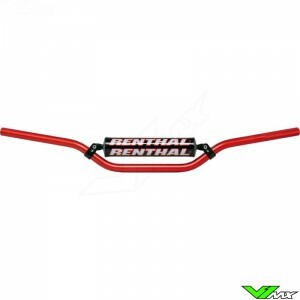 Renthal uses extremely narrow tolerances and advanced alloys. In addition, they manufacture the handlebars with specific properties that help to limit vibrations. This results in less rider fatigue, as these vibrations are one of the main reasons a rider gets fatigue arms during riding. 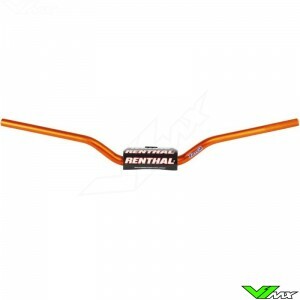 Many professional teams and riders choose products from Renthal to compete for victories. With that, Renthal has already helped with more than 170 world titles and 175 American championships in motorsport racing. In addition to working with teams, they also work with major motorcycle manufacturers. 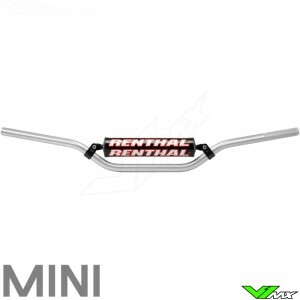 Honda, Kawasaki, Suzuki and KTM, among others, have dirt bikes which are fitted with a Renthal handlebar. All these successes have been achieved by bringing innovative products to the market. What also helps is the 40 years of experience in the development and production of top-quality handlebar products. Are you looking for new handlebars for your dirt bike? Then you are at the right place at V1mx. We have a wide range of top brands. 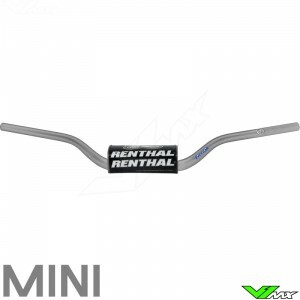 With the wide range of models and bends it can be difficult to choose a new handlebar. But don’t worry, if you have a question about the products you contact our customer support. We would be happy to help you.